Epigenetic changes, not DNA mutations, drive some metastasis. The campaign has been used to educate people in the US, Spain, Turkey and Lebanon - and translated into 16 different languages. Primarily, the Immuno-oncology market is dominated by Lung Cancer & Melanoma applications with several companies and academic institutions focusing on novel treatment approaches, thus making the major contribution to the global immuno-oncology market. Merck has completed a deal with Boston-based biotech firm Vertex Pharmaceuticals for the rights to four cancer programmes worth $230 million. Two of the four are clinical trial stage programmes and the remaining two are in preclinical development. The deal bolsters Merck’s oncology pipeline, an area that Merck have keen to strengthen as part of a wider R&D push. Donald Trump’s three most likely picks for FDA Commissioner all favor loosening drug approval standards. Two are cronies of Peter Thiel, of which one believes that the FDA shouldn’t require evidence of efficacy, only safety, and the other believes that a “Yelp for drugs” would do a better job than the FDA. The third candidate is a bona fide, honest-to-goodness pharma shill. If any of them becomes FDA Commissioner, drug safety standards will take a nosedive. Designed by Drs. 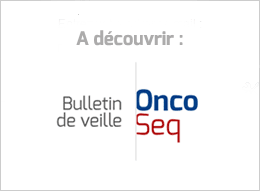 Christine Desmedt, Fabrice André, Peter Schmid and Bruno Sinn, the course is dedicated to young, early-career oncologists, pathologists and basic science PhD students, providing them with an understanding of key topics of translational research that are relevant to patient care in breast cancer. This could be a very effective technique with this particular President for the simple reason that he does not understand science, shows little interest in science, and clearly values anecdotes over data.